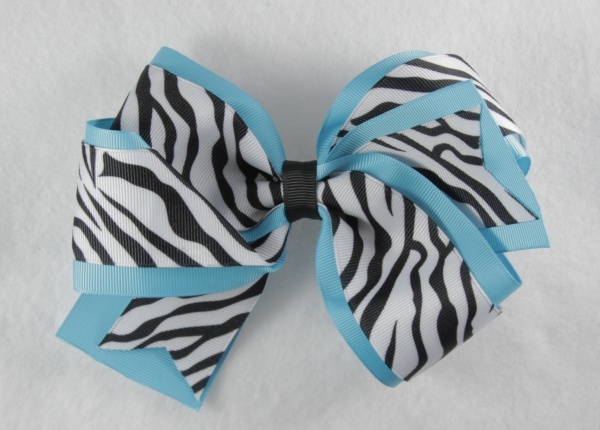 Zebra Print and Turquoise Lovers will go crazy for this bow. This is an awesome boutique style bow that you have to get. The bottom layer is a 2.25' turquoise grosgrain ribbon topped with a 1.5" zebra print grosgrain ribbon. The zebra print has V cut so that the turquoise ribbon will show through. The center is a 5/8" black ribbon that wraps it all together on a French clip.